While translators are often considered to be “lone wolves”, nothing could be further from the truth. In my business, collaboration is the name of the game. I work with professional translators who are members of BDÜ and/or ATA on joint projects and I also refer projects that are outside my area of specialization to appropriate experts. Not only that, in my quality control process, I work with subject matter experts, such as physicians, chemists and prosthesis specialists. 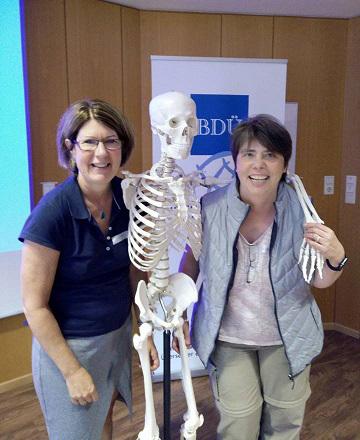 Many of my colleagues attend regular continuing education events, such as the BDÜ-sponsored workshop on trauma surgery. Pictured on the upper right: Fellow medical/scientific translator Dr. Ulrike Walter-Lipow. A collaboration arrangement I’m especially proud of is the one that's “all in the family”. Mark Leube has translation degrees from Kent State University in French and German and specializes in marketing and business texts. 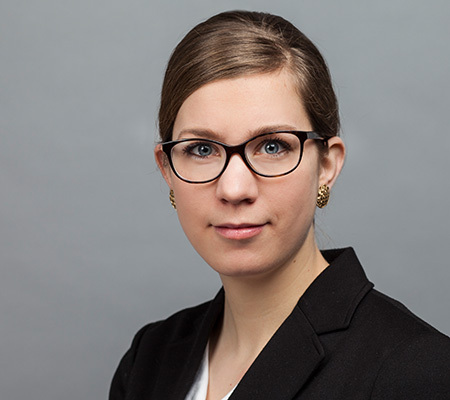 Kirsten Leube is a Freie Universität Berlin-trained lawyer with a Master in Laws from Georgetown University. She has experience translating legal (academic) texts, as well as texts on international development cooperation and migration issues.